Durok is one of Thor’s strongest foes. He’s beaten Thor fairly in 1 on 1 combat and also bested the Silver Surfer just as easily. 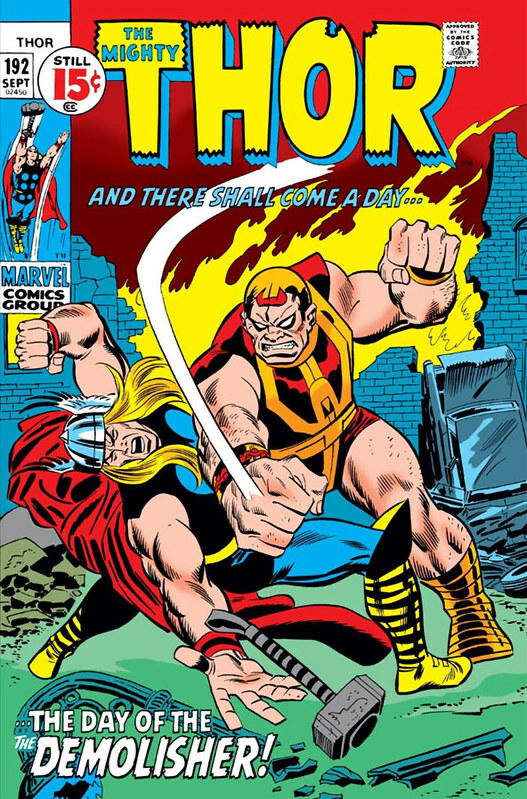 He never truly lost in his first appearance and when he reappeared over a decade later he was soundly defeated by Thor. Was he nerfed or did Thor get stronger? Either way, Thor will have a very tough time if he goes straight for Durok in hand to hand combat, but factor in his elemental abilities and flight and the game changes. Thor has the edge here and with both combatants in peak condition Durok should not be able to claim victory this time. Thor wins. This entry was posted in Battles, Durok Battles, Thor Battles and tagged Durok, Thor by dreager1. Bookmark the permalink.